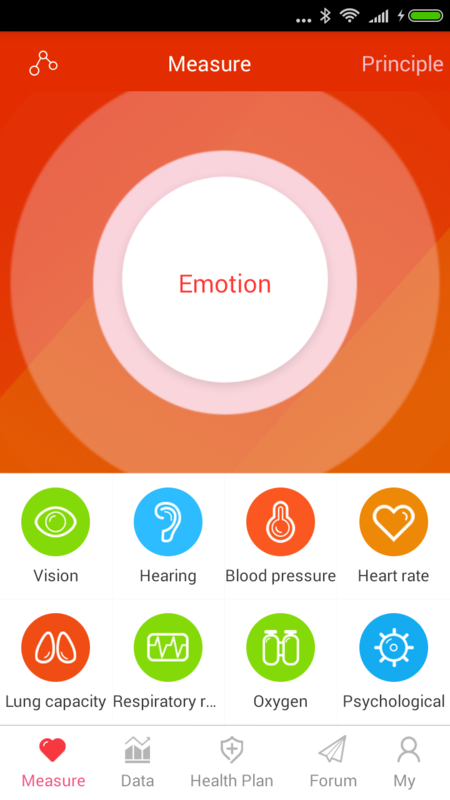 iCare Emotion Test–Mobile measuring blood pressure, heart rate, blood lipids, blood oxygen, vision, colorblind, hearing, lung capacity, breath rate, psychological index. It does not require any peripherals, only use a mobile phone measure blood pressure, heart rate, vision, hearing, lung capacity, psychological index, colorblind and other physical data, and provides targeted health programs . 1.Heart rate error of plus or minus 3 or less. 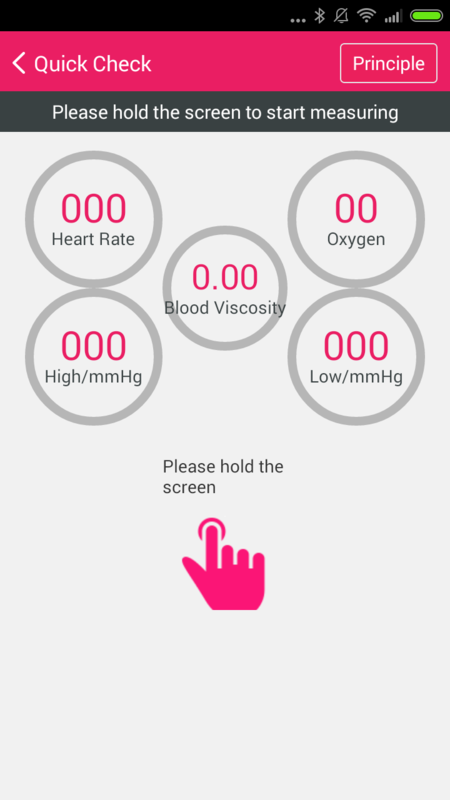 2.Blood pressure for more than 95% of users, the error is within plus or minus 12. 3.Blood Oxygen error plus or minus 2 or less. 4.Identification and accuracy of high blood cholesterol more than 80%. 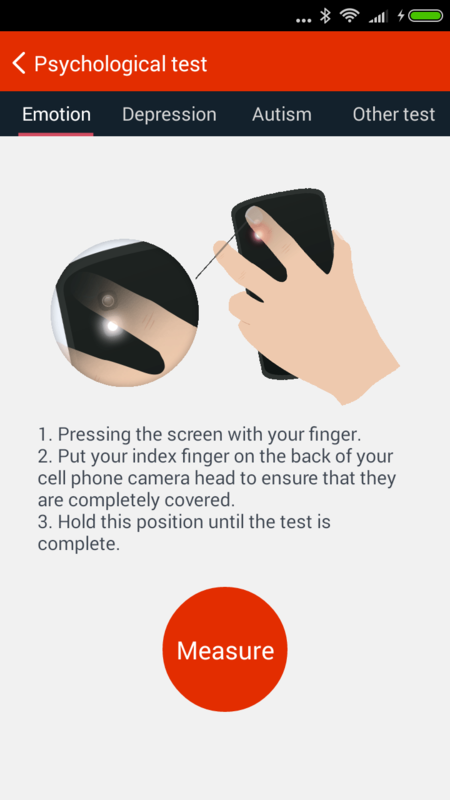 1.Measure the user’s blood pressure, heart rate, blood lipids, blood oxygen, vision, colorblind, hearing, Lung capacity, breath rate, psychological index and other physical data through the phone. 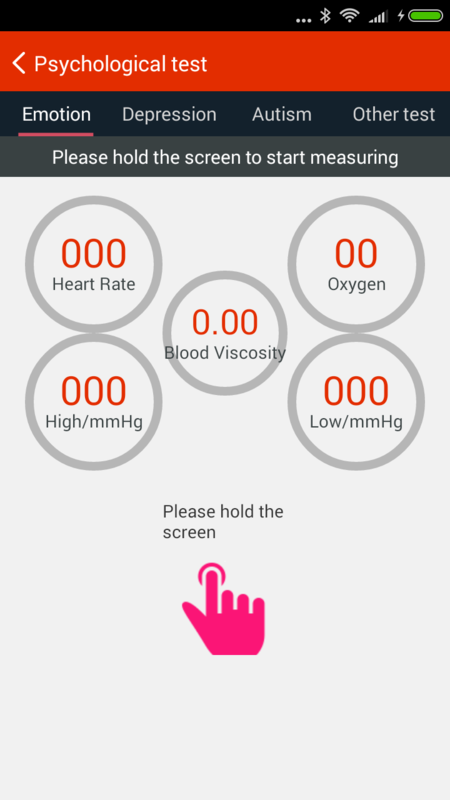 4.Based on the user’s health data and trends, to provide health alert service.